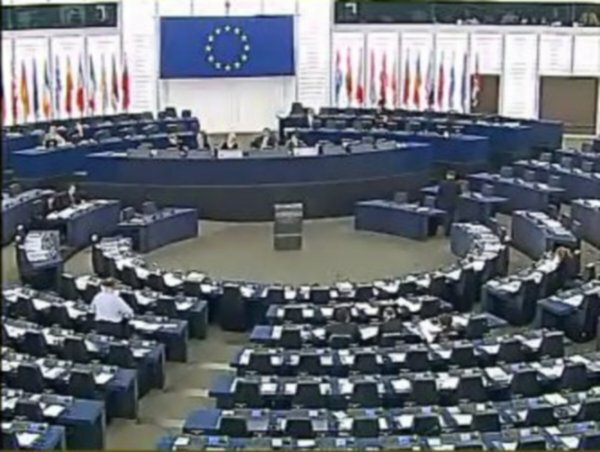 In light of the recent and devastating wave of self-immolation protests in Tibet, Members of the European Parliament discussed an emergency resolution on 27 October 2011 recognizing the desperate situation of ethnic minorities in China. MEPs declared strong support for the resolution, stating that EU condemnation of violence against Tibetans is urgent and necessary. Beijing’s new security campaign in Tibet has created a crisis situation in the region, forcing desperate Buddhist adherents and ethnic Tibetans to extreme action in an effort to call attention to the dire fate Tibetan cultural, language and religious practices face. Since March 2011, nine Buddhist monks and one nun have set themselves ablaze in protest of their diminishing rights to practice Buddhism and preserve their culture. Human rights organizations have reported that five of these activists succumbed to their injuries while the whereabouts of the other five are unknown. This trend reflects growing frustration amongst the global Tibetan community with the international community’s resistance to intervention in the human rights crisis. Further compounding Tibetans’ desperation, the administration of Buddhist religious affairs is increasingly concentrated in Beijing, leaving Tibetan religious authorities powerless to administer their own affairs and communicate with all adherents of the Tibetan Buddhist faith. Disconnected from religious leaders, Tibetans have become increasingly disaffected. Reaching across party lines, MEPs agreed that the human rights situation in Tibet must improve and that genuine autonomy, as called for by H H the Dalai Lama, should be granted to the region. In support of this measure, Filip Kaczmark MEP, a representative from Poland, declared that “liberty is not a privilege but a human right.” Several MEPs also made mention of the 300 Tibetan monks whose whereabouts are currently unknown, urging Beijing to release information on their locations and the status of their health. There have been repeated expressions of concern for Tibetans in China as reports of brutality have only increased since the 2008 Beijing Olympic protests. The European Parliament will win commendation for adopting this resolution but the coming months will act as a test as deputies continue to advocate for the rights of Tibetans and all ethnic minorities in China. Commentators will also be watching to see to what measure the European Parliament and the European External Action Service (EEAS) seize the opportunity to meet with Lobsang Sangay, the newly elected Prime Minister of the Central Tibetan Administration, during his visit to Brussels in November 2011. Pursuant to the passage of this resolution, it remains to be seen how, of if, the Chinese authorities will move to address the root causes of fatal protest across its Tibetan populated regions and to engage in active and meaningful consultation with all marginalized communities living under its jurisdiction. For additional news regarding the recent self-immolations, please click here.